The year isn't quite over yet, but so far we have seen some great matches. From the Men's Money In The Bank match to the amazing triple threat match with Finn Balor vs The Miz vs Seth Rollins, WWE seems to have a ton of talent that rarely seems to disappoint. With the halfway mark of the year recently passing, I wanted to look at the top 5 matches so far this year. What makes the list? Let's get into it. -I wasn't excited about this match to be honest at first. However, I would be 100% surprised and happy with what I watched. The perfect storm led to this beautiful match with the most epic fallout. DIY gave The Authors of Pain their best matches and this is right there at the very top of that list, as DIY went above and beyond to make AOP look great. 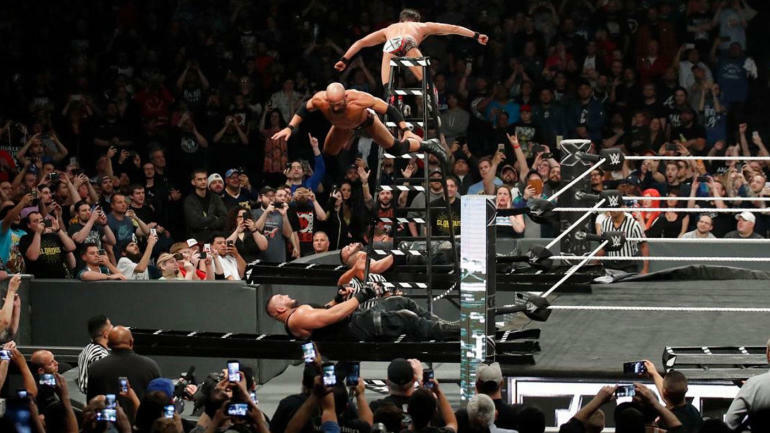 The match signaled the end of an era for DIY and I thought it meant they were heading to Smackdown, but the aftermath led to them breaking up with Ciampa turning on Gargano in one of the best ending scenes of a WWE event in a long time. This match was perfect from beginning to end and the aftermath. 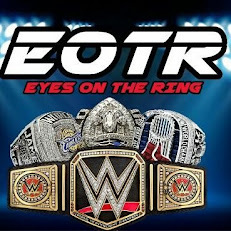 -The fact remains, the WWE has some of the greatest talent in the world and it mostly resides in NXT. The tag team division is a bit slim now, but this match is what tag team wrestling is all about. 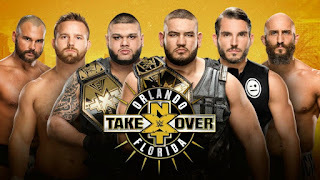 The elimination match showed that The Revival and DIY were the best teams in the WWE at the time. 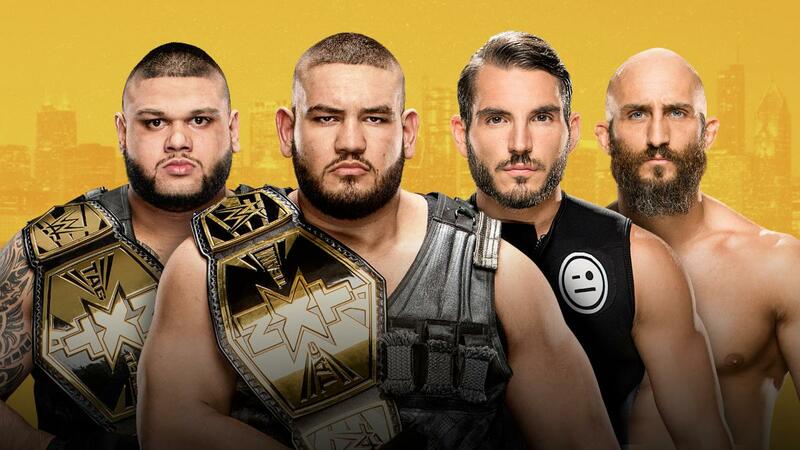 Authors of Pain played their position well, and when it was all said and done, they walked away victorious and still champions. This match is a classic and was the best match of the night on this PPV. -I was unsure of how good this match would be, but I'm glad this match turned out to be a near classic. 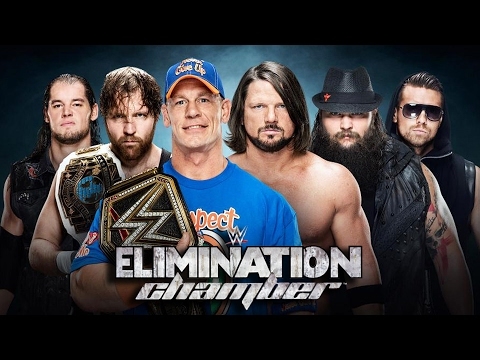 With these 6 man in the ring, it was bound to be interesting, but this might be the best Chamber match since the very first one. 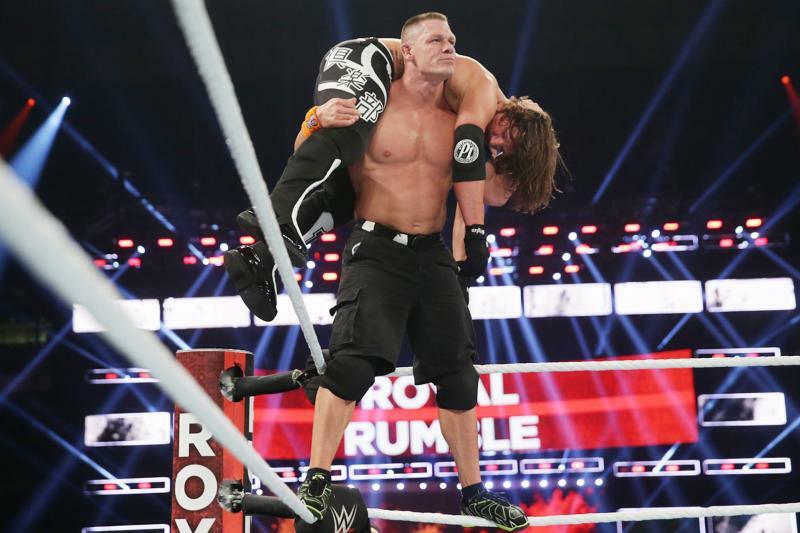 It set up Ambrose vs Corbin, gave us the set up for Cena and Miz feuding, And put Bray Wyatt in the driver's seat. The truth be told, this is exactly what you want in a main event. 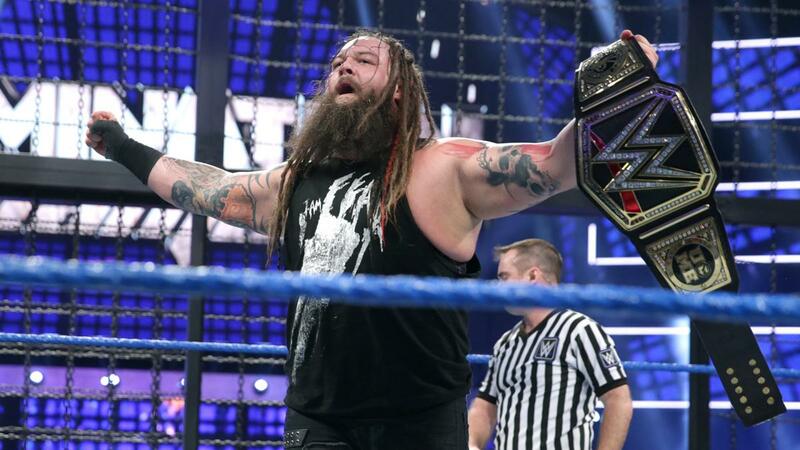 Bray walks away with the victory and the title finally after 30 minutes of amazing action. What a match. 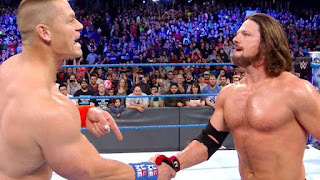 -I still think their Summerslam 2016 match is better than this match, mostly due to the outcome, but AJ and Cena put on one of their greatest contests. Both of these men left it all out there, and after a number of finishers, Cena ends up taking the win and his 16th World Title. 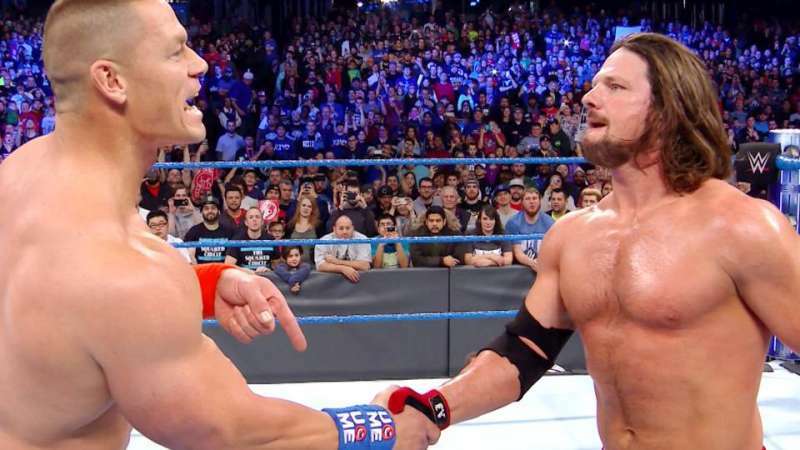 Cena and Styles have the best chemistry together on the roster right now and they have the best chemistry that Cena has had with any wrestler since CM Punk. This match is a testament to that. 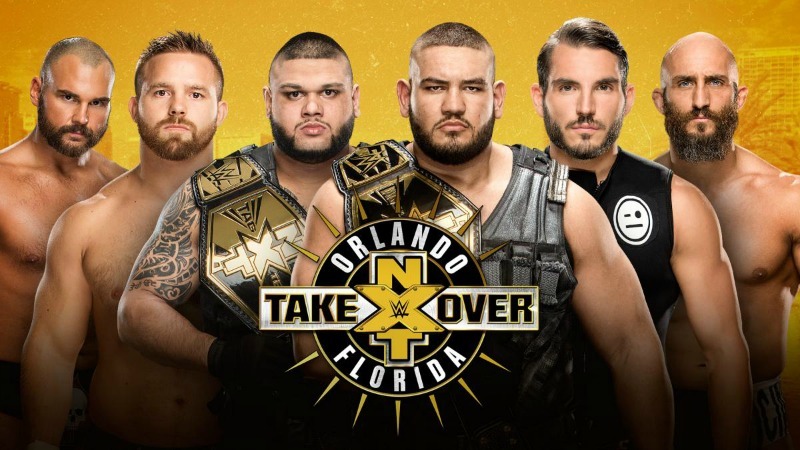 -It should come as no surprise that the majority of the best matches on this list come from NXT events. NXT has the best matches and the most consistency and sure enough, this UK Title Match stands as a top 15 match I've ever witnessed, maybe higher. Tyler was the champion, but the crowd seemed to be behind Pete most of the match and the Chicago got treated to a true classic. Pete Dunne became a household name after this match and the UK Champion, and I can't see a match knocking this off the top spot this year. It's THAT good. 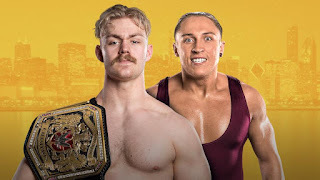 I am so happy to see great wrestler from Britain get the exposure they deserve.